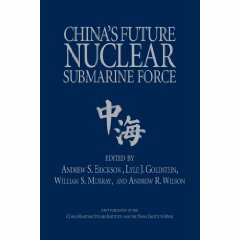 Andrew S. Erickson and Michael S. Chase, “Informatization and the Chinese People’s Liberation Army Navy,” in Phillip C. Saunders, Christopher Yung, Michael Swaine, and Andrew Nien-dzu Yang, eds., The Chinese Navy: Expanding Capabilities, Evolving Roles (Washington, DC: Center for the Study of Chinese Military Affairs, Institute for National Strategic Studies, National Defense University, 2011), 247-86. No discussion of PLAN modernization (or PLA modernization in general) would be complete without reference to the issue of “informatization.” Andrew Erickson and Michael Chase of the U.S. 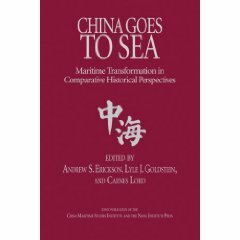 Naval War College discuss this subject in the chapter “Informatization and the Chinese People’s Liberation Army Navy.” This chapter explores PLAN efforts at informatization and its implications for command and control and joint operations. 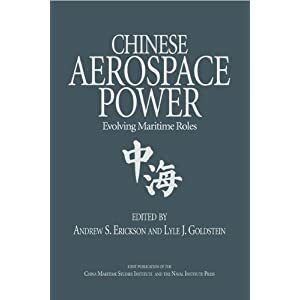 The research draws on a variety of Chinese-language publications to survey how the concept of informatization is defined in naval terms and how it relates to current PLAN capabilities in integration of command, control, communications, computers, intelligence, surveillance, and reconnaissance (C4ISR), conducting joint operations, training and education, and the modernization of PLAN command and control. The chapter concludes that implementation of informatization and modernization of Chinese C4ISR have clearly become top priorities for the PLAN. However, there are still many gaps between the theory of informatization and the operational practice and implementation. There appears to be a debate on PLAN “connectivity” theories and between advocates of centralization and decentralization of command and control. Will increased C4ISR capabilities push information to lower levels or will they further empower the center? The Chinese leadership may hold an overly optimistic expectation that informatization can fully relieve the fog of war and battlefield uncertainty. This new reliance on modern C4ISR capabilities will also leave China more vulnerable to command and control warfare. Finally, the chapter considers if the PLAN has the same metric for integration of C4ISR as the U.S. Navy. The PLAN could approach the concept not from a “one weapon, one target” approach relying on individual operators, but instead by emphasizing a large arsenal of missiles meant to overwhelm the defenses of a targeted naval group without concern for individual accuracy or collateral damage. In recent years, the modernization of the PLA Navy (PLAN) has become a very high priority for China. Senior Chinese Communist Party (CCP) leaders and high-ranking military officers have emphasized the importance of naval modernization. Most prominently, CCP General Secretary, President, and Central Military Commission (CMC) Chairman Hu Jintao in a December 2006 speech to PLAN officers underscored the need to “endeavor to build a powerful People’s navy that can adapt to its historical mission during a new century and a new period.” Similarly, PLAN Commander Wu Shengli and PLAN Political Commissar Hu Yanlin promoted the importance of naval modernization in an article that appeared subsequently in the authoritative CCP journal Seeking Truth (求事). According to Wu and Hu, “Since the reform and open door policy, along with the consistent increase of overall national strength, the oceanic awareness and national defense awareness of the Chinese people have been raised and the desire to build a powerful navy, strengthen the modern national defense and realize the great revitalization of China has become stronger than at any other time.” Moreover, Wu and Hu contend, “To build a powerful navy is the practical need for maintaining the safety of the national sovereignty and maritime rights.” High-level statements such as these appear intended to underscore the importance that China’s civilian and military leaders attach to the modernization of the PLAN. that the PLAN must be prepared for a potential conflict over Taiwan. At the same time, however, they point out that the PLAN must be prepared for a wider range of missions, including the protection of maritime resources and energy security issues. This reflects Hu Jintao’s concept of the Chinese military’s “New Historic Missions,” which was introduced at an expanded CMC conference on December 24, 2004. In an attempt to transform Hu’s general guidance into more specific policy, articles in state and military media have argued that to safeguard China’s economic growth, the PLA must go beyond its previous mission of safeguarding national “survival interests” (生存利益) to protecting national “development interests” (发展利益). Indeed, these expanding combat operations and MOOTW missions drive the PLAN’s requirements, not only for the new platforms China is putting into service with the PLAN, but also for command, control, communications, computers, intelligence, surveillance, and reconnaissance (C4ISR) capabilities to support their use in monitoring and—in a worst case scenario—targeting foreign platforms on, under, and above the sea. PLA modernization is critical to China’s military competitiveness, and “informatization” is central to the PLA’s modernization. An explicit goal of the 2006 Defense White Paper was to build informatized armed forces capable of winning informatized wars. In the view of the PLA, China has yet to fully exploit mechanized warfare, while it is now having to transform to the follow-on era of informatization. According to Beijing’s 2006 Defense White Paper, “China pursues a three-step development strategy in modernizing its national defense and armed forces, in accordance with the state’s overall plan to realize modernization. The first step is to lay a solid foundation by 2010, the second is to make major progress around 2020, and the third is to basically reach the strategic goal of building informationized armed forces and being capable of winning informationized wars by the mid-21st century.” At the 17th Party Congress in October 2007, Chinese President Hu Jintao declared, “To attain the strategic objective of building computerized armed forces and winning IT-based warfare, we will accelerate composite development of mechanization and computerization, carry out military training under IT-based conditions, modernize every aspect of logistics, intensify our efforts to train a new type of high-caliber military personnel in large numbers and change the mode of generating combat capabilities.” The PLAN is at the center of this effort to achieve the informatization of the Chinese military. 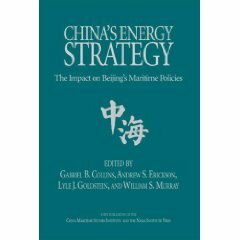 It “has published an entirely new set of revised guidance documents since the end of the 9th Five-Year Plan (1996–2000).” Since the beginning of this decade, the “Two Transformations” program has sought to implement this guidance by using informatization and mechanization to transform the PLAN, along with the rest of China’s military, from a posture that is personnel-intensive to one that is technology-intensive. ■ How does the PLA define the concept of informatization, what does this mean for the PLAN, and how does it relate to the modernization of PLAN C2? ■ How well can the PLAN currently connect sensors, C2, and weapons to get a clear picture of the battlefield and execute combat operations? ■ What is the PLAN’s ability to conduct joint operations with other services? ■ What technical improvements is China’s navy likely to make over the next decade (e.g., space-based ocean surveillance, use of unmanned aerial vehicles, and better communications) and which capabilities would make the most difference for combat effectiveness? ■ Where does the PLAN currently fit in the spectrum between the U.S. and Russian C2 models?